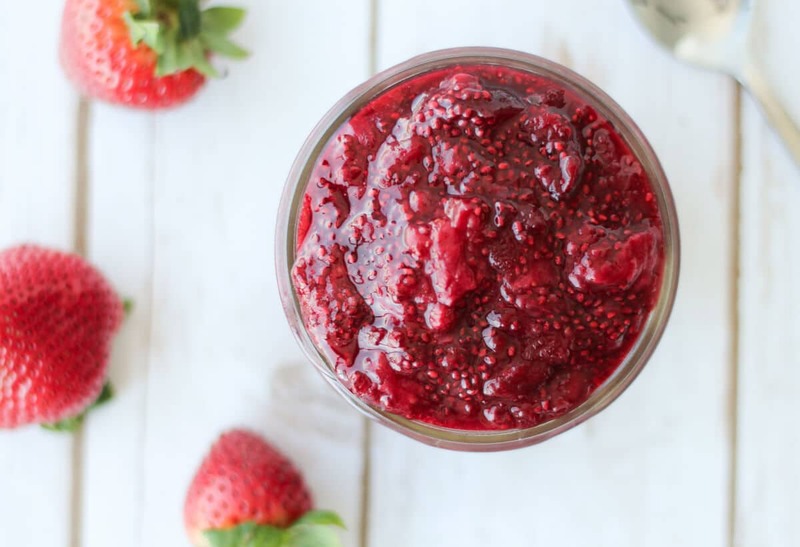 This healthy Cherry Strawberry Chia Jam will quickly become your go-to morning spread because it’s totally vegan, super healthy and low in added sugar! 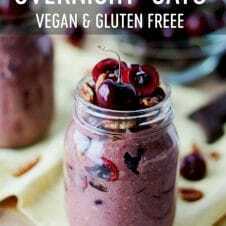 I recently wrote a Fitness Magazine article about my favourite chia seed recipes, and chia jam came up again and again in my research (tough research, eh?) If you’ve made chia pudding, you’re probably aware of chia seeds’ amazing thickening properties. They absorb liquid and make it somewhat jelly-like and thick. 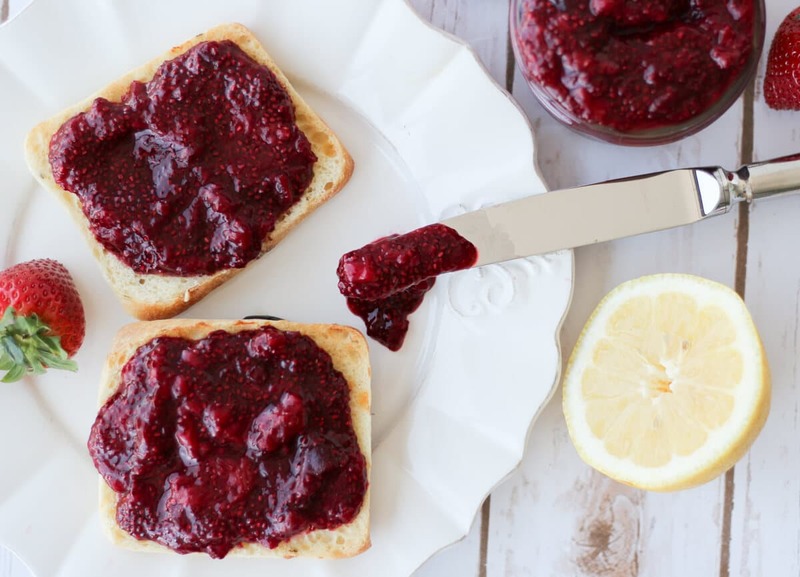 If you’ve made jam the traditional way a lot of sugar – not always ideal if you want to keep things healthy and light. The advantage of using chia seeds is that it boosts nutrition in a BIG way. Chia seeds are loaded with fibre, protein and healthy omega-3 fats! 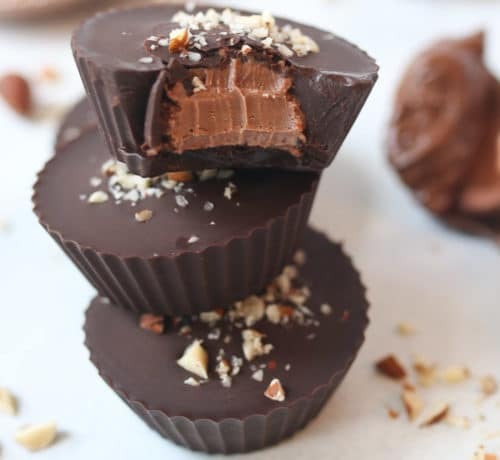 They’re also vegan so our plant-based friends can get in on the PB&J fun. 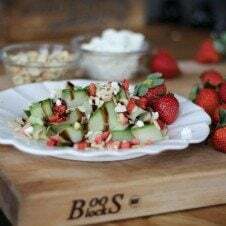 Finally, it doesn’t require any sugar to do it’s job – you can basically get away with sweetening your jam or jelly to taste depending on the sweetness of your fruit. 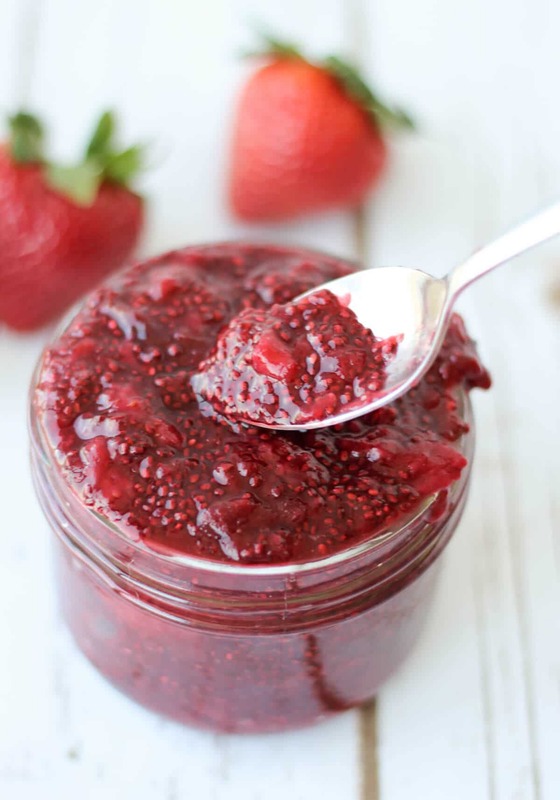 Making this cherry strawberry chia jam then is pretty much as easy as added chia seeds to mashed up soft fruit. My two favourite jam flavours are cherry and strawberry, so I decided to combine them into one recipe in my Low Sugar Cherry Strawberry Chia Jam. 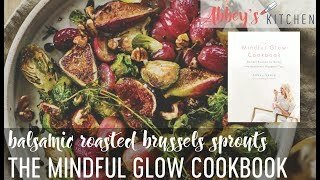 You literally can choose any kind of jam-friendly fruit – have fun playing around with whatever is in season or in your house. 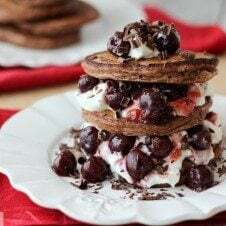 This low sugar cherry strawberry chia jam is perfect on toast, in thumbprint cookies, swirled through ice cream or layered in breakfast parfaits. 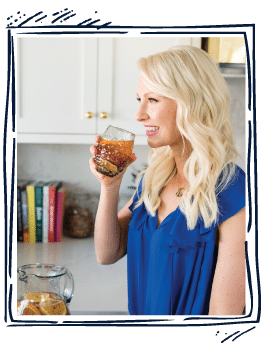 You might as well make a huge batch and preserve it – and if you do, I suggest you read my easy to follow post on canning here! Low Sugar Cherry Strawberry Jam – a healthy way to start your morning! What are some of your favourite jam flavours for chia jam? 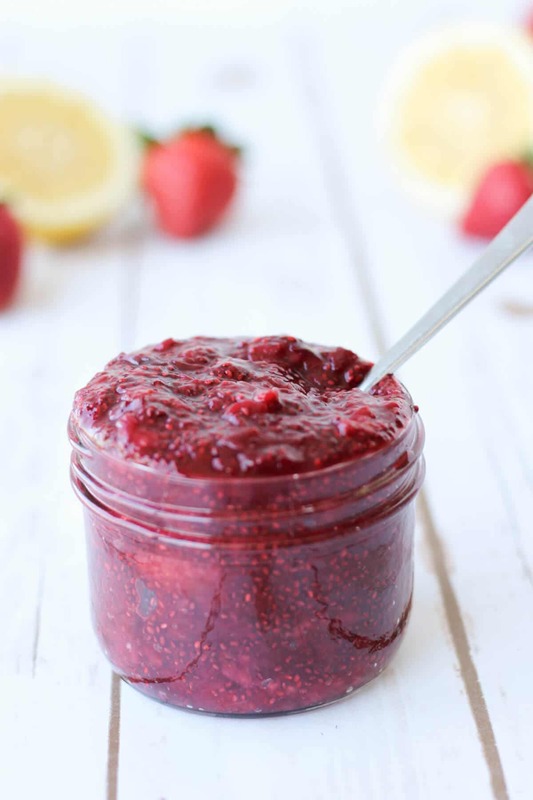 Have you tried making this cherry strawberry chia jam? Leave me a comment below! I would LOVE to hear your favourite combinations! In a saucepot, heat the cherries and strawberries until they start to bubble and get syrupy. Once super soft, mash them with a potato masher until the mixture is jammy, loose, and with some visible little bits of fruit in it. Add in the lemon juice and maple syrup, and taste. Adjust the lemon and maple syrup depending on the sweetness of your fruit. Take the mixture off of the heat, transfer it to a container and add in the chia seeds. Allow the mixture to set for at least 20 minutes, or until it thickens up. 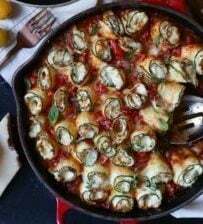 Enjoy immediately, or pack away in the fridge to use throughout the week. How long will this jam keep in the fridge?